Here in the Ozarks there seem to be two fairly reliable weather systems over the year. One is a cold spell during the beginning of September. The other is January thaw. What is January thaw? It’s a week or two of mild temperatures usually the last part of January. They are a break between the cold spells of December into January and the last big winter push of February. This year has a typical January thaw. The days flirt with fifty degrees. The nights dip a bit below freezing. These low temperatures at night are important. Nightly cold keeps the ground frozen. It keeps the plants dormant. At least most of the plants are still waiting for spring’s real appearance in another month or so. Maple trees are impatient. Already the silver maple’s red blooms are swelling. 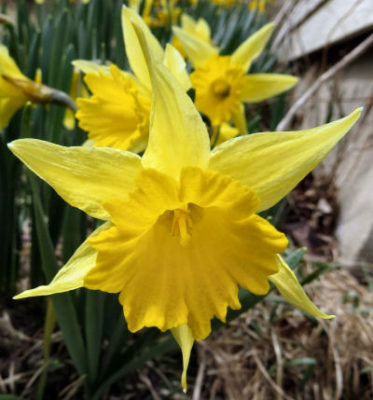 With another week of mild temperatures the flowers will open. And then the cold returns and freezes them. Spicebush is an early spring bloomer. 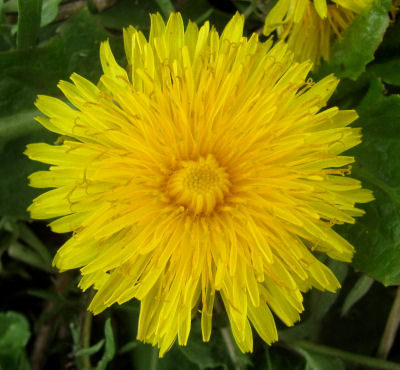 It bursts into yellowgreen flower pompoms often in March. Its leaves have a spicy taste. Spicebush buds are swelling too. They are not as impatient as the maples. The mild temperatures are tempting them into waking up but they are cautious. Instead these yellow green pompoms of blooms will burst out the end of February or beginning of March. One wildflower is trying to bloom. Little corn speedwell, genus name Veronica, keeps opening a few sky blue flowers whenever several days creep up into the fifties. 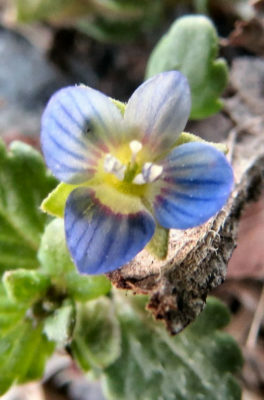 Little corn speedwell, Veronica arvense, is an international resident. its tiny blue flowers are a welcome sight in midwinter warm spells. 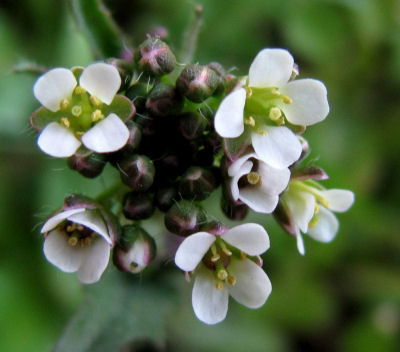 These little plants are only an inch or so tall with shallow roots. When the top inch of soil thaws, the plant starts growing. Even when cold returns, the plants just stop blooming and wait for the next warm days. Birds enjoy January thaw as well. Feeder raiding is not as urgent giving the males time to stake out their territories. Cardinals are calling from various places on the hills. A bluebird was spotted the other day. When February moves in with more winter cold, the memory of January thaw helps keep cabin fever at bay. February may have the fewest number of days for a month but each seems so very long. Maybe January thaw with its taste of spring causes that too. Enjoy more essays and photographs of nature in the Ozarks in Exploring the Ozark Hills. Find out more on the Ozarks Hills blog page and in the Shop. 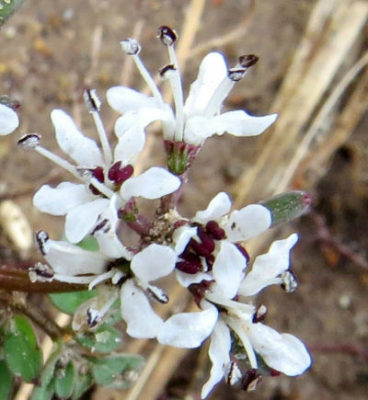 This entry was posted in High Reaches and tagged corn speedwell, January thaw, Ozarks, spicebush, Veronica arvense on January 28, 2015 by [email protected].